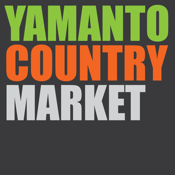 Download our "Yamanto Country Market" app and stay tuned for our latest specials and connect with us like never before! Eddie Habchi and Bill Avgoustakis have been running Yamanto Country Market since 2007 with over 60 years experience between them. We are independent greengrocer who buy fresh fruit and vegetables daily from the Brisbane produce markets and local growers. We only source quality products that are suited to our clients needs, taking advantage of seasonal products. We also offer groceries such as milk, bread, eggs, yoghurt, nuts, juices, honey, cheeses, meats and many more products. Our goal is not just to supply first grade fruit and vegetables, but also to achieve excellence in customer service.